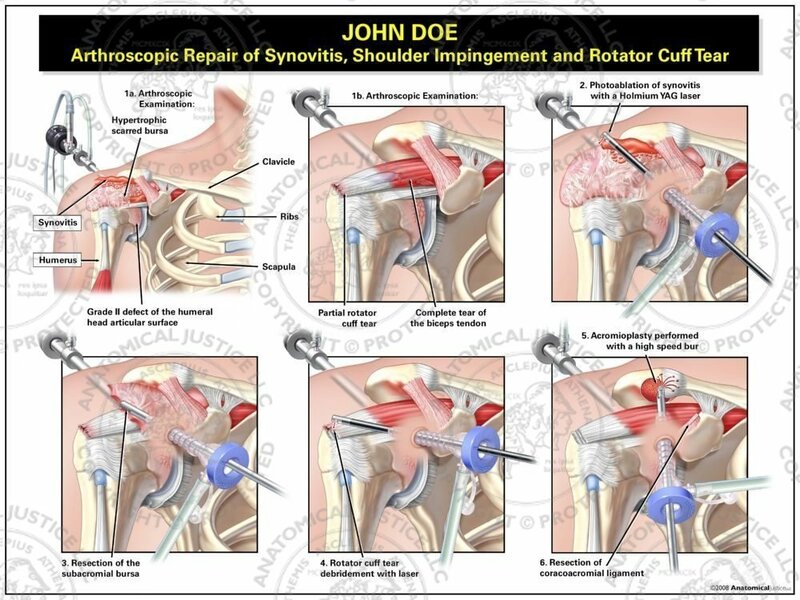 This exhibit details five arthroscopic surgical steps to repair the right shoulder. 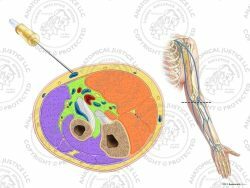 The examination revealed a hypertrophic scarred bursa, a grade II defect of the humeral articular surface, a rotator cuff tear, and a complete tear of the biceps tendon. Photoablation of the synovitis was accomplished with a Holmium YAG laser. The subacromial bursa was resected and the rotator cuff tear was debrided. 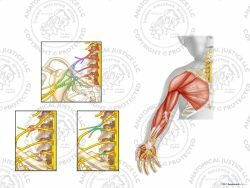 An acromioplasty is then performed and the coracoacromial ligament is excised.